Launching a private real estate fund involves navigating an array of regulatory complexities and business challenges. 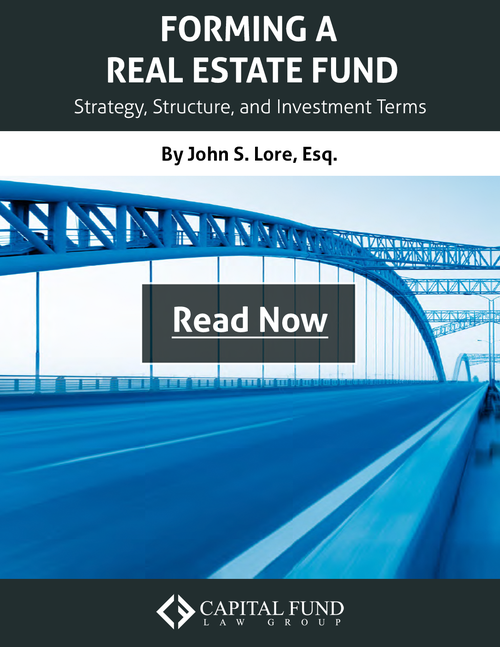 A real estate fund encompasses unique securities, regulatory, and tax issues. Capital Fund Law Group advises emerging and established real estate and private equity fund managers on all aspects of fund formation and ongoing operations. Our attorneys have structured real estate funds throughout the United States using a variety of structures, investment strategies and jurisdictions. Our flat-fee real estate fund legal services include start-to-finish counsel with all aspects of launching a real estate fund. Our services include structuring the offering terms, preparing the disclosure documents and agreements, filing the federal Form D and assisting with investment advisor registration. 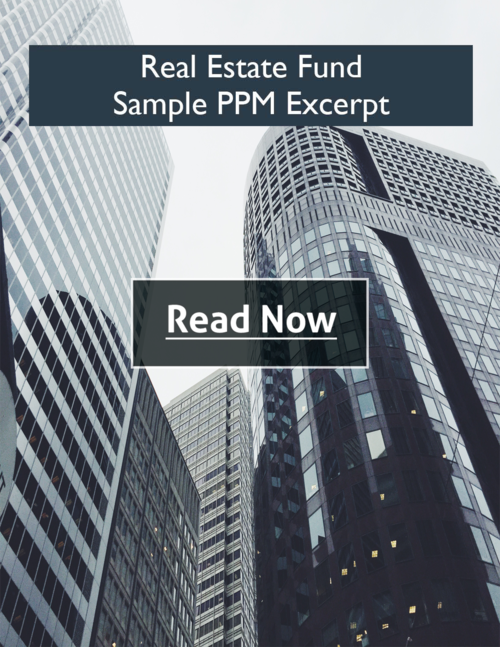 We have authored numerous industry publications, including white papers, sample PPM document excerpts and blog posts dedicated to helping emerging managers understand various aspects of forming real estate funds, private equity funds and other alternative funds (scroll below to read or download). Our firm has been quoted on securities law topics in some of the nation’s leading financial publications, including Forbes, Entrepreneur, and Business. Capital Fund Law Group was recognized for its exceptional investment fund legal expertise by Wealth and Finance International Magazine’s Alternative Investment Awards in 2014 and 2015. Call (212) 203 - 4300 or email us to schedule a complimentary consultation with one of our attorneys to discuss the structure, requirements, timeline and costs involved in forming a real estate fund. We will also be happy to answer any questions you have about launching your fund. Real estate securities offerings span a broad continuum of size and complexity. At the largest and most complex end of the spectrum are non-traded and traded Real Estate Investment Trusts (REITs), which are pooled investment vehicles requiring a large number of investors to satisfy regulatory and tax requirements and generally requiring a substantial asset base to justify the costs of formation and operation.